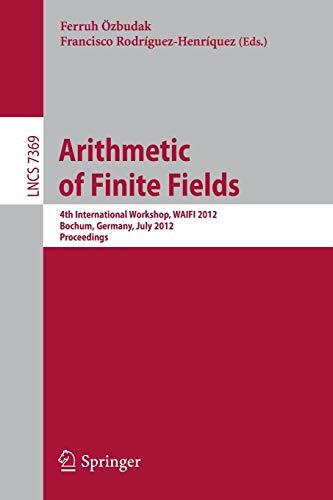 This book constitutes the refereed proceedings of the 4th International Workshop on the Arithmetic of Finite Field, WAIFI 2012, held in Bochum, Germany, in July 2012. The 13 revised full papers and 4 invited talks presented were carefully reviewed and selected from 29 submissions. The papers are organized in topical sections on coding theory and code-based cryptography, Boolean functions, finite field arithmetic, equations and functions, and polynomial factorization and permutation polynomial.